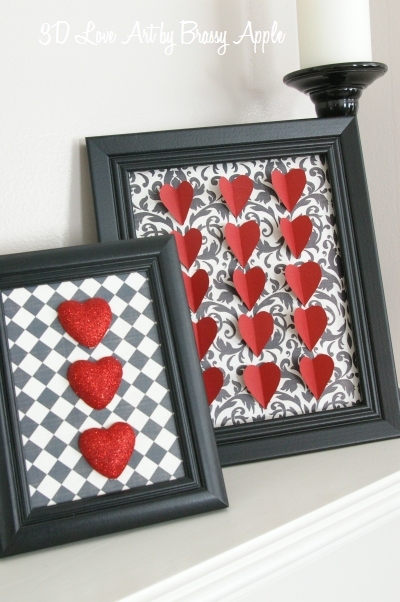 It’s not too late to get your home into the Valentine’s Day spirit with DIY Valentine’s Day decorations! We’ve rounded up some easy and fun DIY projects to spread the love around your home this weekend. String art is a classic craft that is easy but always stunning. This guide shows you how to make it easier with a tutorial on string art without nails! It’s a lovely Valentine’s Day decoration that will catch the eye of any visitor. This clever and easy way to make picture frame decorations stand out is so awesome! The project may take a little time and patience, but the end results are not tacky at all, and the quality and attention you put into them will really show. This tutorial provides a step by step instructions with clear directions and pictures. 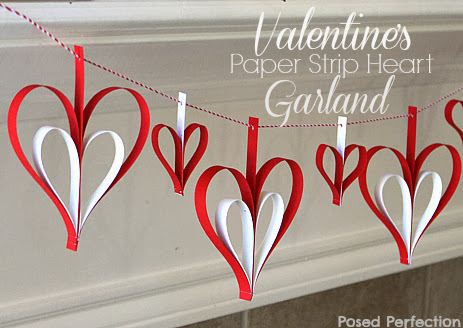 For a quick and easy garland decoration, try this Valentine’s paper strip heart garland! It’s fun, easy, and quick. Just follow this guide! Block letters are always stunning and never go out of style. Make some Valentine’s Day themed XOXO’s with this quick guide on making these beautifully wrapped decorations.